A Chassidishe farbrengen: Why No New Rebbe? Some ask: Why hasn’t the Chabad movement appointed a new Rebbe? One answer is that in the case of the previous Chabad Rebbes, even when the successor was not immediately known, the predecessor dropped various hints about the successor’s identity. In contrast, the Rebbe explicitly prepared chassidim for the event of his histalkus by issuing a public will (see here), in which not only did he not indicate that the Chabad movement would be led by another Rebbe after the Rebbe’s histalkus, but on the contrary, he instructed that it be led by the Chabad Rabbonim of each community, whom the Rebbe declared were to be akin to Yehoshua who succeeded Moshe Rabeinu. Moreover, on an earlier occasion, the Rebbe alluded to the possible scenario of his histalkus, and instructed chassidim how to act in such a situation by relating the following story of the Tzemach Tzedek. Once, the Tzemach Tzedek was summoned to a rabbinic conference called by the secular authorities. At this conference he vehemently opposed the “reforms” in Jewish education that the anti-religious Haskalah movement was pressing the government to mandate, and in so doing he endangered his life many times. Now that it is the hundredth year after the histalkus [of the Tzemach Tzedek], and now there are also no children, the solution is for chassidim to unite, and in this way they will carry it out. ... The unity among chassidim nullifies all decrees and negative things, breaks through all boundaries, and elicits the truth of Havayeh [transcendent G–dliness] until it reaches here, in the world. The Rebbe was clearly intimating (and twenty-eight years in advance!) that since in the scenario of his histalkus, G–d forbid, there would be no successor, the solution to the absence of his physical leadership will lie in the Tzemach Tzedek’s second response—unity among chassidim. Here, too, the Rebbe clearly indicated that he would have no successor, and instructed chassidim how to approach this scenario. In one verse it is written, “He [Shimshon] judged the Jewish people for forty years” while in another verse it is written, “He judged the Jewish people for twenty years.” ... This indicates that ... they were in fear of him for twenty years after his passing in the way that they were in fear of him for twenty years during his lifetime. In other words, Shimshon’s leadership and rule continued even after passing, for the Jewish people were “in fear of him” [i.e., inspired by him to serve Hashem] for another twenty years; thus, it is considered as if he had judged the Jewish people for forty years. If this is true of a Shofet, it is certainly so with regard to a Rebbe, since the entire being of a Rebbe is the soul-level of Yechidah [regarding this level of the soul, see here], and he elicits this level into every section of his soul and of his body. With respect to the level of Yechidah, the event of a histalkus has much less relevance. Thus, it is absolutely certain that a Rebbe can continue to lead even after his histalkus, just as he did during his lifetime. Thus, the choice given us is that we have the privilege to join him in the areas under his leadership. It is certain that all activities will continue as before. And just as every living thing [constantly grows, his activities] will conform to the principle that “One should always rise higher in holiness,” in an ever-growing and expanding manner. ... The Rebbe gave, gives, and will give the opportunity to everyone to take part in these activities. He also promised that participating in his activities will bring blessings in children, health, and livelihood. Toras Menachem 5711, Vol. 2, pp. 186-187. So the Rebbe teaches clearly that a Rebbe never leaves his chassidim, and continues to lead them even after his histalkus just as before. This principle surely applies to the Rebbe himself (especially according to the principle that the Rebbe himself taught us on many occasions that “he rules concerning himself,” explained here). Another reason that the Chabad movement will not appoint a new Rebbe is that the Rebbe clearly defined the “mission statement” for his generation in the very first Ma’amar that he delivered, Basi Legani. Our task is to draw the Shechinah [divine presence] down into the world, with the actual coming of Moshiach (see here). Or, as the Rebbe put it in more recent years, “This generation is the last generation of exile and the first generation of redemption.” Since, to state the obvious, Moshiach is yet to come, the Rebbe’s role as Leader of the Generation surely continues. Moreover, the tremendous, ongoing, ever-growing success, kein ayin hara, that the Rebbe’s chassidim and shluchim have had in spreading Yiddishkeit and Chassidus worldwide despite the Rebbe’s physical absence attests tangibly and powerfully to the Rebbe’s ongoing leadership. Finally, a word must be said, with all due respect, about the questioner. What I will explain also accounts for the fact that it is typically non-Chabad chassidim who (often with well-meaning intentions) pose this question. The very question reveals a total lack of understanding (usually not the questioner’s fault) about the concept of a Rebbe, especially as explained in Chabad teachings (for more on this topic, see here). Sefer HaMa’amarim Admur HaRayatz 5711, p. 245. Sicha of 13 Nissan, 5726. Sotah 1:8. Cf. Yalkut Shimoni, Shoftim 71. Zohar 3:71b. Cf. Tanya, Igeres HaKodesh, explanation to epistle 27. Sefer HaSichos 5750, Vol. 1, p. 158. This also ties in with the Rebbe’s statements that the Chabad Rebbeim were the “Moshiach of the generation,” because Moshiach is particularly associated with the soul-level of Yechidah (Ramaz on Zohar 2:40b). Dedicated in the merit of a speedy release for the captives Yonasan ben Malka (Jonathan Pollard) and Sholom Mordechai Halevi ben Rivka (Sholom Rubashkin). The solution to Redemption is, "for chassidim to unite, and in this way they will carry it out." Wow - I never knew the Rebbe said this! Thanks. 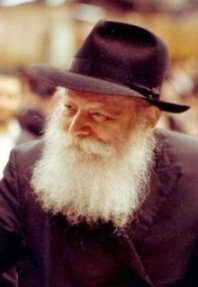 He did say that themost direct way was to learn his sichos on inyonei Moshiach, which most certainly encompasses his talks during the years '90-'92, but that peace between chassidim too is a key, I now realize is the Rebbe's formula too. It's interesting to note, therefore, that the Rebbe FORESAW the division that will serve as a huge test and challenge to chassidim in the post-histalkus era. I firmly believe we will easily enough cast aside that obstacle, if we haven't done so already. A very fantastic message, which gives me more hope than before. I must admit that nowadays, I had some despair and doubts in my emunoh, but B'H, you said what I was needed to keep on going forward.